If you’ve searched for data breach prevention tips for multinational companies, you might be surprised by what you’ll learn in this post that you likely won’t find in other articles. In this post, we’re not only going to provide you with basic data breach prevention tips for multinational companies. We’re going to start by highlighting a typically unseen area of vulnerability for businesses that operate globally in some way, shape or form. Whether you market to international audiences, do business with foreign stakeholders or employ virtual workers whose native language is not your own, you must learn this number one overlooked vulnerability. Continue reading to learn actionable data breach prevention tips for multinational companies, and your organization can avoid becoming the next Equifax. The most overlooked of data breach prevention tips for multinational companies is to assess the level of security included in the language translation software your company uses. If you read “translation software” and immediately questioned whether or not your company even uses language translation software, this raises a red flag. Doing business internationally means that your company is likely translating marketing content, HR documents, contracts, financial reports, emails, strategy decks and more. Unless you’ve hired a professional translation agency to translate all of these, your employees are likely the ones translating these materials using some sort of tool or software. Once you have determined what method(s) your company is using to translate documents and text from one language to another, refer to the information below regarding what to look out for when assessing the level of risk that comes with those methods of translation. Regardless of whether your global company is using a translation agency, free online translation tools or premium enterprise translation software, you’ll soon learn the reasons you need to assess the level of security of each. At the end of this post after we provide data breach prevention tips for multinational companies, we’ll make a suggestion for the best method that ensures your company’s information is protected. Go to a search engine and type “translate” into the search bar. You’ll find out within seconds the most popular method that people use to translate text and documents. It’s likely that your employees are using this very method to communicate internationally. Free apps, tools and other free websites where you input data will often repurpose data for their own gain. Whether they sell this data to third parties, publish it, or quietly use it for their own internal purposes, you need to keep in mind that this data is at the very least being stored somewhere. With most free online tools, you better believe that they aren’t offering a high level of data protection. Whether they’re storing it without encryption, running the translations over a non-secure connection or have Terms of Service that claim your use of the tool gives them a license to use your data, your information likely isn’t safe from unwanted eyes. This makes free online translation tools and software an important matter when it comes to data breach prevention tips for multinational companies. Human translation is quite possibly safer than using free online translation tools, as long as the human translators aren’t using non-secure software or tools. 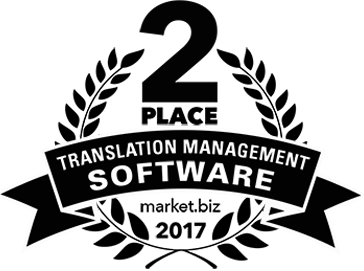 Many translation agencies and freelance human translators will use software that speeds up the translation process by running data through a machine translation tool first. Then, they’ll tweak the translation in areas where the translation isn’t totally accurate. So even if you pay someone to translate your content, they’re likely entering your data into software—or maybe even a free online translation tool to keep their own costs down. Make an request to your translation agency to disclose which tools and storage methods they’re using, and investigate the level of security of those. If you want to be 100% sure that your data is safe with these agencies or freelancers, require that they use the secure translation software we recommend at the end of this post. If you’re paying for enterprise translation software, a high level of security really should be included in your plan—but keep in mind that most often it is not. 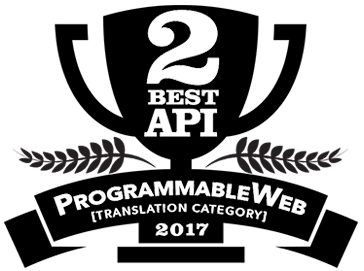 You can send this list to any translation software company and ask them to check off which of these their software includes. In addition, you should always carefully read the EULA for the software to ensure they don’t reserve the right to index, share or publish your data. If this sounds time-consuming and expensive, remind yourself that a data breach is even more expensive. An easy way to get started on better data breach prevention is by adopting translation software for your company that has the highest security standards possible. Pairaphrase not only is the safest cloud translation software available on the market, it also improves productivity and reduces time and costs involved with translation production, often by more than 50%. Pairaphrase includes all the security features we recommended in the “Enterprise Translation Software” section above. What’s more, we never index, share or publish your data. You have the ability to completely wipe your data from our cloud translation platform at any time if you need to. We invite you to read more about our translation software’s security features and our mission to make translation faster, smarter and safer for global companies.